Nice article to read about a woman much more from my generation than yours btw :), no i’m definitely younger not that much (not you but her you got it right, well, less than a decade i suppose …), but obviously you read that book accurately enough to see it perhaps as a Kim Gordon’s light therapy after both the Sonic Youth dissolution and her divorce with Thurston Moore. Like Ranaldo said also : “Every band runs its course”, he is probably right. Whatever intricate were her relations in her life and in the band, how can they put any frontiers (apart perhaps the Rolling Stones members 🙂 to be together for a hypothetical everlasting moment. 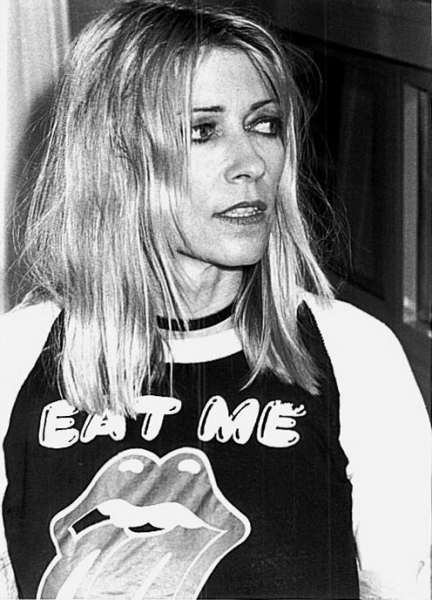 I should read Kim Gordon’s book for sure , you made the teasing as per usual ! Hey Stephane, always a pleasure to read you. At least someone comes here and checks my post, glad it’s you ! Gordon’s book is not so much about her divorce, but you can tell the clash led to a lot of thinking. But she is not whining, only reflecting upon what happened in a more general way. I appreciated the fact that she was not making herself the hero of her book, but simply a woman dealing with various things in a pretty specific environment (a rock band, the art world). Definitely a must-read, I think you’ll love it. And it’s very well written too. Anyway, I will keep you posted soon ! I’m recording album 3 in june… quite a big deal ! Really looking forward to it.